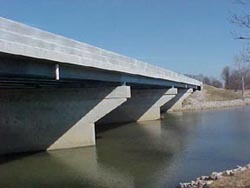 Geotechnical | Alt & Witzig Engineering, Inc.
Alt & Witzig Engineering has offered field, laboratory, and design services to local, state and federal government agencies for the design of bridges, highways, & airports. We provide recommendations for bridges supported on footings, various types of piles, and caissons. We are also proud to be an approved Indiana Department of Transportation (INDOT) consultant, which allows Alt & Witzig Engineering to offer services on state and federally funded projects. Our geotechnical expertise has not only been utilized in the design of new roads but also on soil subgrade investigations for resurfacing, repaving, or regrading of existing roads. Slope stability, settlement, subgrade, and pavement design are just a few services our geotechnical staff can provide. Alt & Witzig Engineering has participated on the design team on several airports. These projects range in size from international airports to local or municipal airports. With the combined experience in both private and public sectors, Alt & Witzig Engineering, Inc. can provide you with economical and competent services. Alt & Witzig has assisted with commercial, industrial and retail projects for many years. 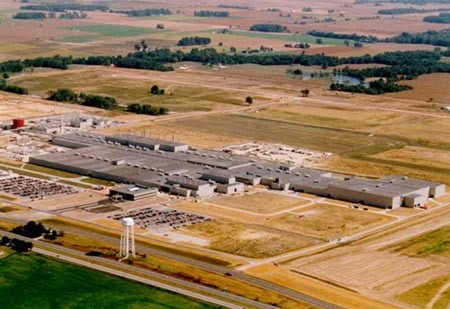 These types of projects range from restaurant chains and grocery stores to massive 1,000,000+ square foot warehouses. Whether you need a preliminary investigation to determine the feasibility of a large site for a future commercial park, or an intensive subsurface study in an ideal retail location known to have problematic soils, we will devise an appropriate approach to investigate the soils and provide accurate foundation recommendations. Since the state DNR governs the permitting of dams, an Alt & Witzig Engineering, Inc. geotechnical engineer is a necessary tool on your design team. Over the years, Alt & Witzig Engineering has performed field investigations, subsurface investigations, laboratory testing, and design and analysis for several proposed and existing dams; both private and publicly owned. We have worked closely with the state Department of Natural Resources, the main design consultant, and the client to assure that the dam is designed within industry standards, thus providing an economical and safe dam. The decorative segmental retaining walls have been very popular over the past decade, and Alt & Witzig has kept pace by providing clients with wall design consultation. In addition to segmental walls, we also have experience with concrete retaining walls, MSE walls, bin walls, gabion walls, and more. 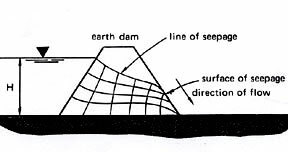 Design of Earth Retention Systems requires a geotechnical study, as well as an understanding of the particular wall design. 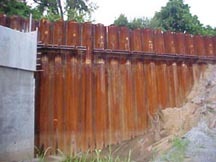 It is critical that the wall be properly designed to avoid costly failures and potential liability. Spread footings and continuous wall footings are generally most economical when the existing soil conditions allow them to be founded at a shallow depth. However, an increasing number of projects are located in areas that have seen one or more previous periods of earthmoving or construction operations. 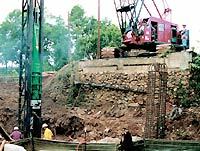 Due to fill materials or unsuitable soil conditions and increased structural loads, alternative foundation types must be considered. Through our in-house drilling department and laboratory facility, our team of experienced geotechnical engineers provides clients and owners with the most economical foundation system. 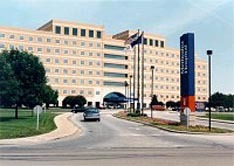 Hospital, school and church projects can vary greatly, from multi-level hospital structures to smaller gymnasiums or church sanctuary additions. At Alt & Witzig, we realize each of these projects has unique concerns. That is why we work closely with our clients during the investigative phase. Through the use of subsurface investigations and related laboratory testing, Alt & Witzig Engineering can provide valuable information about soil conditions and possible subgrade difficulties before they compromise successful completion of your project. This information can be used to determine the best alternatives to treat and minimize the affect of soft soils on subgrades and pavements. With over 29 years of experience we are confident that our firm will provide you with the most appropriate and cost effective recommendations for your project. Buying a home is most likely the largest purchase one will ever make. Alt & Witzig Engineering is pleased and honored to work with some of the states most respected development companies and homebuilders. Our clients range from large and “high volume” corporations to individual families who are looking to make sure that they are starting the building process on the right foot. Geotechnical investigations are widely used to assess land prior to major development and construction. 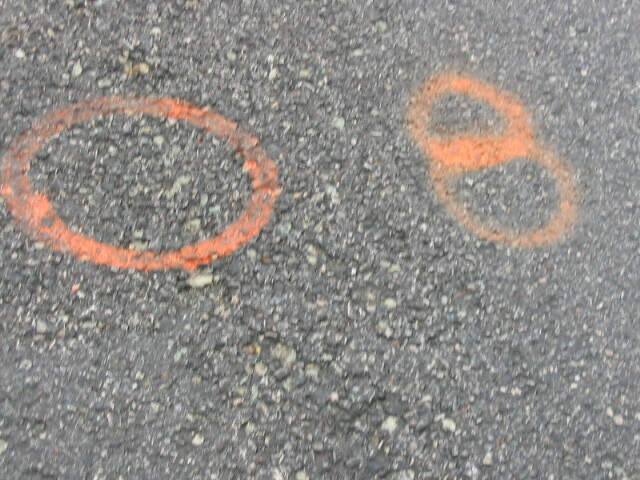 By performing geotechnical investigations, developers and builders can obtain crucial subsurface information.